Over the years, the SA SDI Alliance has been involved in several architecture and planning studios in which university students and community members co-produce ideas and scenarios around housing and upgrading. 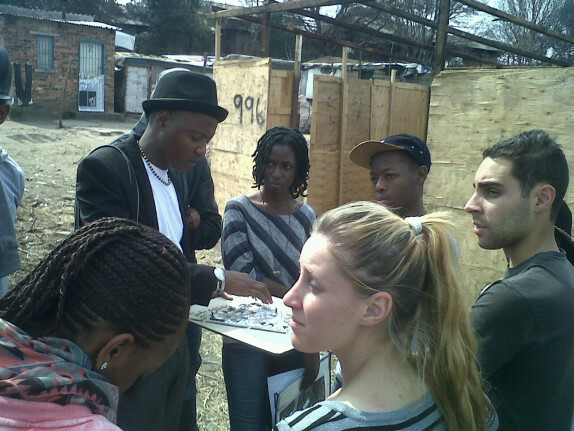 The most recent of these studios took place from July to August 2014 in Johannesburg’s Denver informal settlement together with community members, students from the University of Johannesburg’s (UJ) Department of Architecture, the Informal Settlement Network (ISN) and Community Organisation Resource Centre (CORC) who offered technical and social support and facilitation. 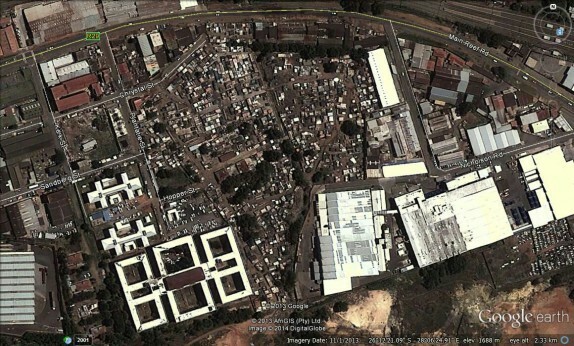 Denver informal settlement is situated in a light industrial zone that spans the southern section of Johannesburg’s central business district. 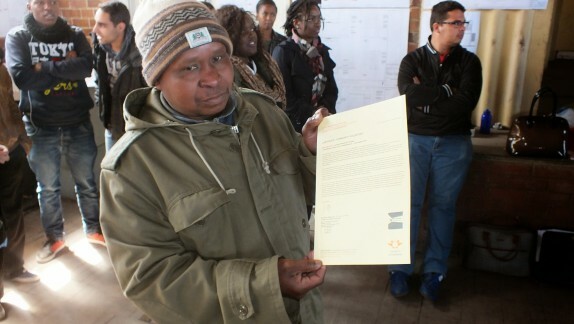 It was formed in response to Denver hostel, an inner city accommodation, established around 1946 by the government of the time to house rural labour migrants. 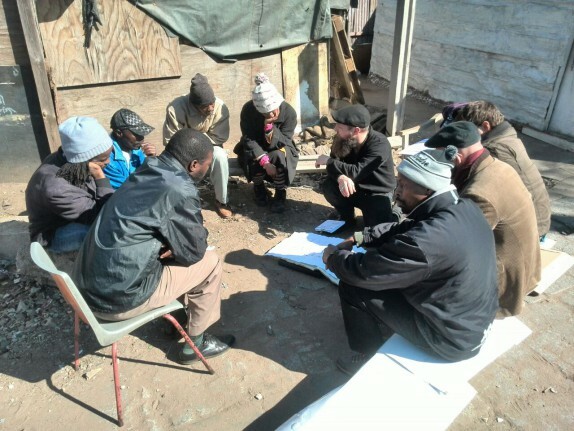 As the hostel operated for men-only, Denver informal settlement sprang up as an accommodation option for the wives of men living in the hostel. Over the years the settlement has continued to grow along with an increasing demand for housing by its residents. 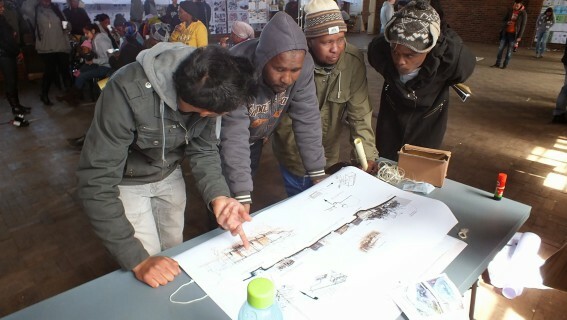 The studio developed out of a longer engagement between UJ’s Department of Architecture, CORC and ISN, who had already collaborated on past studios in Ruimsig (2011) and Marlboro South (2012) informal settlements in Gauteng. The Denver Studio, however, differed from past studios because it introduced the first of a series of project management modules. For the SA SDI Alliance, studios lay a foundation for productive discussions with local government that voice communities’ views, opinions and requirements. 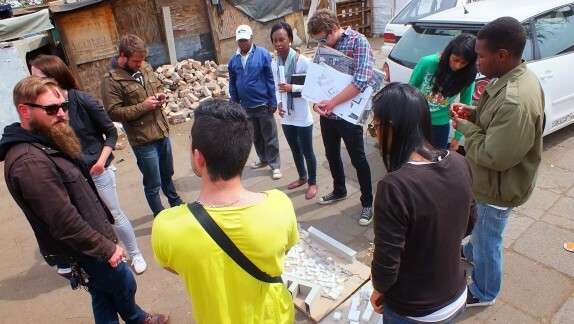 They also introduce students to the necessity and value of planning with communities, which contributes to a focus that shifts away from traditional ‘top down’ product and ‘delivery’ approaches towards ‘responsive’, community-orientated approaches. While these outcomes are valuable aspects of collaborative work, Gauteng’s ISN leaders highlighted a current gap: community members need to gain tangible skills through the studio and upgrading process, just as the students do. Each module therefore couples practical participation in the studio with project management skills. Upon completion of every module, community residents will receive a certificate of participation. The vision is that these modules will run as an ongoing series throughout future studios and that they will incrementally build on the content of past studios, creating continuity and ongoing engagement between past and future studios. The students were divided into ten groups, each of which partnered with two or more residents from Denver settlement who took the lead as designated community planners and explained the community’s various concerns to the students. One of the community leaders, Chief Mbata shared his views on the studio as a platform to commence a dialogue about the urban poor and their conditions of living. 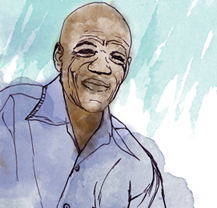 He went on to speak about the over crowdedness and the illegal electrical connections that have claimed a lot of shacks and their contents in and around Denver. While they engaged with these themes, the community, supported by ISN and CORC, also undertook an enumeration of its settlement with the support of iSN – in a combined effort to collect comprehensive information. As a community member, Daphne Ntombenhle Mabuso used her in-depth knowledge of the community and its history to compile the studio’s data in a collective documentation of Denver that represents the settlement as accurately as possible. Some of the studio’s content includes figure-ground drawings, actual land-use maps and various other maps that identify needs, constraints, observations and possibilities within Denver. This documentation can serve as the basis for continuing discussions between the community of Denver and the City of Johannesburg. (Click here to access the students’ documentation of the studio). In the last week of August, the students presented their socio-spatial analyses of courtyards, pathways, open spaces,permanent vs. temporary structures and rental vs. owned units to Denver community. 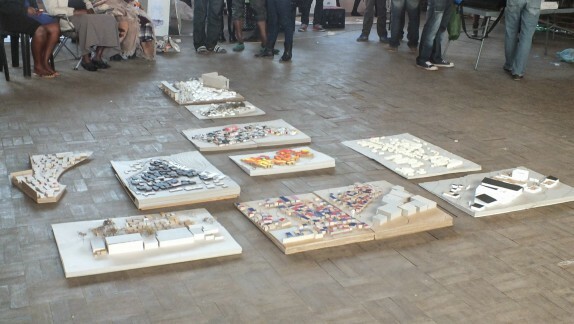 These open up a space to begin small-scale projects and a discussion with the local authorities. 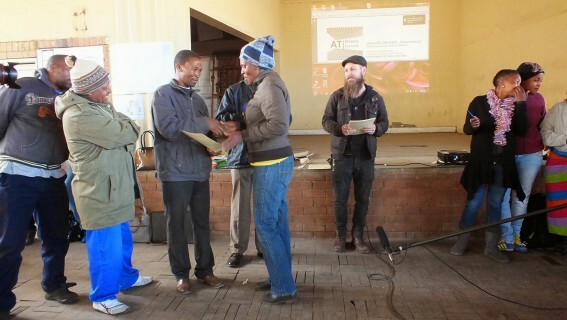 During this time community members also received their certificates signalling their participation in the studio and the project management skills they acquired. 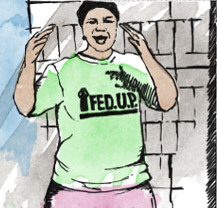 In this way community residents are becoming formally skilled participants and drivers of their own development in a collaborative, co-productive training space.